We say at the beginning that this is NOT a toy. It is a unique device with some very interesting features. Whereas PLB’s and EPIRB’s are only used in Emergency, SPOT gets most of it’s use in other ways whilst still being there for Emergency. SPOT uses 100% satellite technology, so (not like a cell phone) you don’t have to worry about coverage. SPOT covers virtually all of North and South America, northern Africa, northeastern Asia, Europe, Australia and New Zealand and hundreds or thousands of miles offshore of these areas. 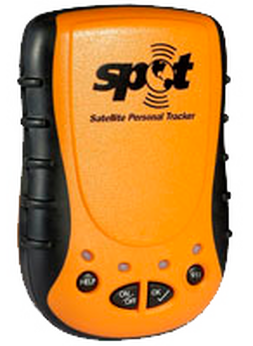 So SPOT can be used at home in NZ or when away travelling the world. SPOT allows you to send your exact location and pre-set messages to friends, family and emergency assistance independently of coverage. Having purchased a SPOT you then need to subscribe* (approx. US$165 p.a.) directly to the SPOT international service. Having done that you can then access the following. 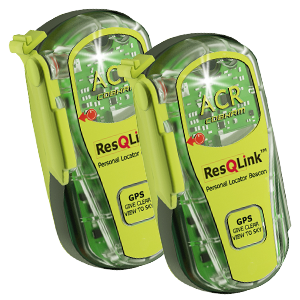 Alert 911 - Notify emergency responders of your GPS location. They in turn notify rescue services in the country of activation. HELP - Request help from up to 10 friends and family giving your exact location. One of the features that makes SPOT unique is that you could make your alarm monitoring service or an answer service one of the 10 contacts and then you get the message from them by phone. Track – By (optional extra US$50) turning on the tracking mode you can send and save your location as you travel and allow contacts to track your progress using Google Maps™ pictures.